Struggles are always going to be a part of life, but surviving them is what make our lives stronger and worthwhile. For the disabled (I have my own experience), they face hardships everyday, and often are cast aside. However, it doesn’t have to be that way. They deserve a fulfilling life, with goals, and drive just as much as others. 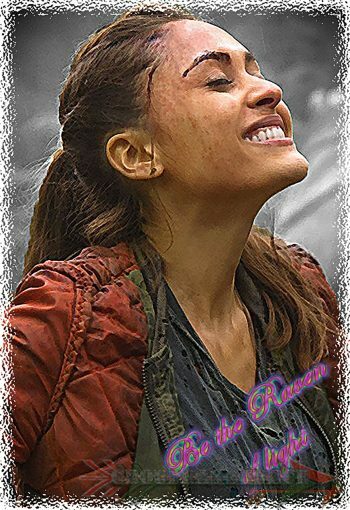 The 100 represents two strong women (Raven and Emori) with disabilities, who live way beyond measure just to survive. They are wise, been in relationships, and shown the world that just because you have something, it does not mean you are a waste. With Lexa, she was different, but she represented hope for all those who had a struggle. Although, the majority of it had to do with being a gay young woman, she taught us to not be afraid with being who we are, and to make the world a better place. These characters, as well as others, connect with us on a personal level. The 100 The Big Thing Special Olympics Campaign represents EVERYONE. I have been a coach for the Special Olympics, and seeing that you helped making individuals lives better with a strong purpose, and an outgoing attitude, is a far greater award then anything else. So, Grounders Source is going to raise awareness for such an inspiring organization, and you can be a part of it. It is quite simple, and even just by sharing, can be a big help. I have exclusively made The Raven of Light fan art, and designed shirts on Represent.com. You can purchase one of the five different styled shirts, and every dollar that is made, will go to the Special Olympics. The goal is 500 shirts. Can we do it? Yes! If you are unable to purchase a shirt, just sharing the campaign and spreading the word helps just as much. Share the campaign on social media. The more that you share, the more money will be raised! We want to earn as much as possible so that Special Olympics can continue their mission of enlightening peoples’ lives. 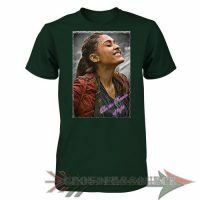 If you want, you can buy additional shirts for future Grounders Source giveaways and contests. They will be shipped to me, and you have to contact me either through a DM on Twitter or email for my address. The campaign will run through May 16th, and restart. If you want to share your purchase, please do so by tagging the photo/tweet with @GroundersSource. Each one will be retweeted! Again, thank you for your massive support! This could not have been possible without your help and dedication of making a difference!